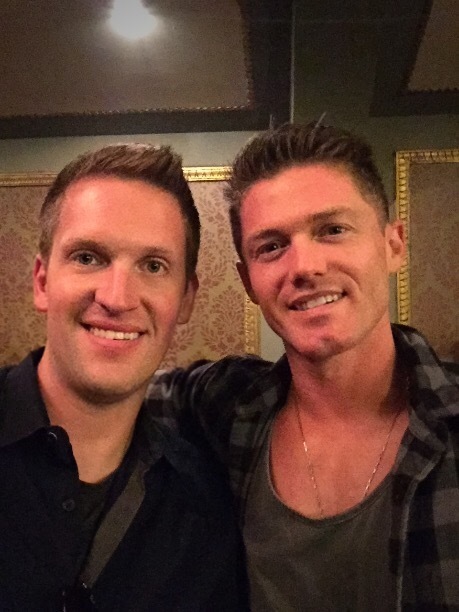 This past round of Emmy Awards was TV and Broadway choreographer Spencer Liff's second chance at the win. Twice now, he's been nominated for his work on "So You Think You Can Dance," but again the recognition fell short. This time the award was a tie, going to Liff's colleague, Travis Wall, for a routine presented on the FOX hit series and to Julianne Hough, Derek Hough, and Tessandra Chavez for one on ABC's "Dancing With the Stars." But in light of everything this driven young choreographer has accomplished in just a few short years, it seems unlikely that he'd have spent much mindshare reflecting on such a success, anyway. Instead, Liff, who recently turned 30, keeps a no-nonsense attitude and propels himself forward with a laser, almost manic, focus--determined to make more than just a name for himself, but to also make a lasting impression on the art form. "This year I've been so busy, and I picked what I wanted to submit. I put it in, and totally forgot about it." Liff said, setting up a prelude to how he learned the news of being nominated for another Emmy Award, the first time being in 2012. We were chatting one recent evening during his dinner break from rehearsal at Broadway's "Spring Awakening," for which he serves as choreographer. The comment was illuminating, if not refreshing in an interview setting--one which, by the nature of its set-up, often follows the natural, gravitational pull of self-celebration. Instead he admits he was in his bathroom getting ready on the morning the nominations were announced when he started getting texts and other alerts: "Your phone just starts making every noise that your phone can make: the tweet sound, the message and the ringing and the dinging. I was like, 'What is happening right now?'... I thought maybe this had been announced ["Spring Awakening" heading to Broadway, following a hit run in LA] or that working on Neil's show had been announced [NBC's "Best Time Ever" hosted by Neil Patrick Harris, for which Liff also serves as choreographer]." "Then finally I saw a text that said something about the Emmys and I looked it up.... Anyway, it was very out of left field.... Then, sadly, I immediately thought that I wouldn't be there for any of it, which is this double-edged sword because I'm here [in New York] doing all this amazing stuff." Yet, perceived apathy aside, which in person just sounds more like a focus on the future than reflection on the past, Liff was honored by the nomination and recognizes in some way--even if he's not boastful about it--what it symbolizes for someone in his position. "The category this year, it's the best people in the world," Liff said. "When you hear your name in that grouping, it's humbling. I watched all the videos.... Your jaw's on the floor at how different we are and how good dance has gotten on TV." He would know, too, as he's had a hand in helping defining its role and prominence on TV today, with credits as a dancer as well as choreographer for a range of shows including "Dancing With the Stars," "SMASH," and even "How I Met Your Mother" and "Parks and Recreation." "I don't think dance was on TV when I was growing up, like it has been for the last 10 years," Liff said. "Maybe 'In Living Color,' or when 'Star Search' was around. [But] there certainly were not five dance television shows to choose from," he added. "I'm very grateful that I'm peaking at a moment when dance really is everywhere in the media." He's parlayed that success to other forms as well. With an earlier, successful career as a dancer on Broadway ("9 to 5," "Cry-Baby," "The Wedding Singer") and in films ("Hairspray," "Footloose"), Liff has been able to use TV as a platform to showcase his skills as a choreographer and then extend that in bigger ways, which might not have been possible before the success of these dance shows. "I've accomplished a lot very quickly, which is fun and exciting, but I've also been laser-focused and knew exactly what I wanted, knew when I wanted to get a Broadway show, knew what regional theaters I wanted to work in to get there, and I'm very focused on balancing TV, film and theater as a choreographer," Liff said. "There aren't a lot of professional choreographers doing that right now. You look back at [Bob] Fosse and Gower Champion and these people of another era that constantly did huge movies and Broadway shows and everything," he noted. "Now it seems like people are really picking. Do you do music videos or do you choreograph on sitcoms or do you do tours or Broadway? I would like to be able to keep my feet in all of them." But, though he aspires to conquer all forms of dance in mainstream media, Liff himself hints at his own limitations, with commitments to current major projects including a Broadway show and "Best Time Ever." "I'm in a very stressful moment in life trying to get all of those shows done at the same time, so I guess there isn't a lot of time for sitting around and patting myself on the back. Neil's show is a lot of pressure and is a massive live event every week. 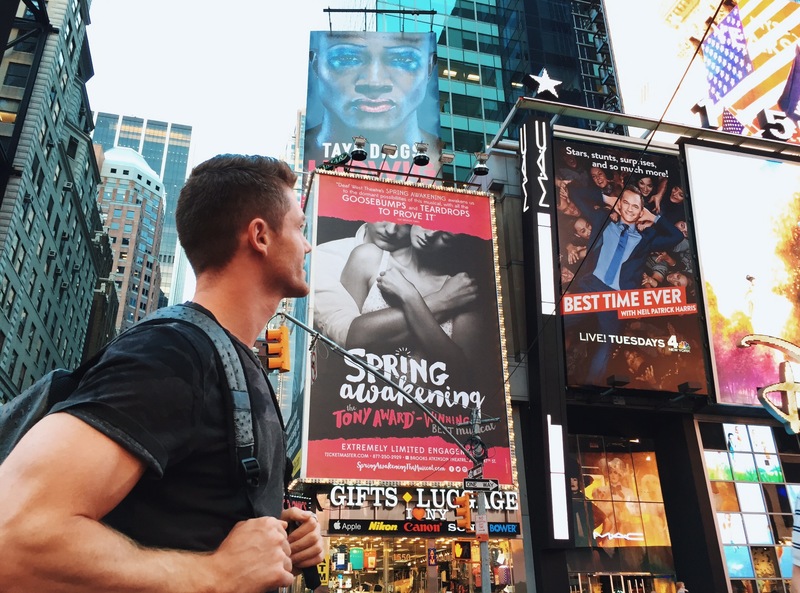 'Spring Awakening' is something I've been working on for two years and it is exactly what I want to show, and who I want to show myself as, to the New York scene, so it has to go very well," Liff said. "When they do go well..." he clarified, "Neil's show ends and I go right to LA and start two shows back to back... There isn't a lot of time to stop and rest." "I want to keep ticking boxes off of things I haven't done yet... and I've made my choices in the past two years of the projects I've worked on as to what was scary, what wasn't comfortable, what was not linear," he added. "I think that's why I have moved so quickly is because I have not been making safe choices and thankfully I haven't been stumbling." Although the Broadway reviews won't be in until Sunday, if the success of this revival by Deaf West translates from LA (which fan buzz coming out of previews seems to indicate), Liff's point will be proven once again. This groundbreaking production features a mix of deaf and hearing actors, including Academy Award winner Marlee Matlin and Emmy Award winner Camryn Manheim. This presented Liff with the unique challenge, yet incredible creative opportunity, to choreograph sign language, alongside direction by Michael Arden, and was met with rave reviews. "I'm extremely proud of this," Liff said about "Spring Awakening," "because every part of it is difficult.... Nothing is normal in the rehearsal process when half your cast is deaf. You can't use counts, you can't have anybody listen to music," he continued. "Everything is visual cues and how do you make two and a half hours of a musical look like it's dancing when you have to use the ability of the cast on the stage." "I'm very lucky because sign language is the most beautiful thing in the world to watch," Liff added. "We have an incredible team of ASL masters who have spent the past two years with us, going through every single word and lyric to come up with the best signs for it to be understood by the deaf audience, and then the best signs that fit with the music and the rhythm and what looks the most visually interesting." But then, just as a choreographer considers how to connect lyrics to the movement in dance, Liff had to do the same with the physical hand movements of sign language. "I think, 'How do you extend this through the body?'" he said. "How can I make the signing look to be more than signing.... [One thing] I love about this is that sign language breaks the rules instantly of what is conventional and what you can get away with. There wasn't ever a point in time where I was living in the confines of these characters, that I can't make a giant tree out of bodies or I can't make a ship out of bodies. The second that you see the signing on stage and voicing actors with them and things, you're in this fantasy world and it allows me to get away with anything. That is incredibly freeing." "There's no dancing in the show," he quickly clarified. "I don't feel the need to prove myself as a dance choreographer. If [fans] want to see my sets, you can look at 'So You Think You Can Dance.' If you want to see my storytelling and the arc of a two-and-a-half hour piece of theater, you can see ["Spring Awakening"]." Similarly, Liff was billed as choreographer for the recent Broadway production of "Hedwig and the Angry Inch," a somewhat surprising position as there wasn't any traditional dancing in that 95-minute show, either. Yet Liff worked closely with director Michael Mayer and the production's first headliner, Neil Patrick Harris, to bring out the character of Hedwig through moment; one portrayed as a (generally) failed performer, whose own body movements would have been self-taught and affected by watching her rock idols on TV and video. Therefore, in light of Liff's shift beyond the realm of dance in the traditional definition of the term, it's not surprising that next he'd like to do more in the way of directing. But, "as I moved very quickly from performing to choreography, I don't want to do that fast. I really want to choreograph for a while and work with the best directors out there and really work in the film world with the likes of maybe a Rob Marshall or someone like that so I can go in that direction. Certainly that is the end goal," he said. But, as much as Liff is proving to be a juggernaut in the world of dance, he realizes that "it's worrying sometimes that I don't ever take a breath. The other day I was in Times Square and I put a picture up of this [on Instagram].... I have three billboards of my shows side-by-side. I remember I saw it and it's certainly incredible but, I don't know.... If I had looked at myself five years ago and thought I would have that, I would have assumed that I would have felt on top of the world right now." It's difficult to see Liff's career from an outsider's perspective and not think the artist may be missing the bigger picture. But, whether he's not giving himself enough credit, or he's driven by an obsession to create, the work will still speaks for itself--with or without accolades and self-adulation. Instead, at just 30 years old, Liff is crafting an indelible mark on his industry and he seems to be setting a course to not just make an lasting impression on it, but lead through remarkable innovation. Steve Schonberg is the editor-in-chief of www.centerontheaisle.com and the theater expert for NBC "Weekend Today in New York."